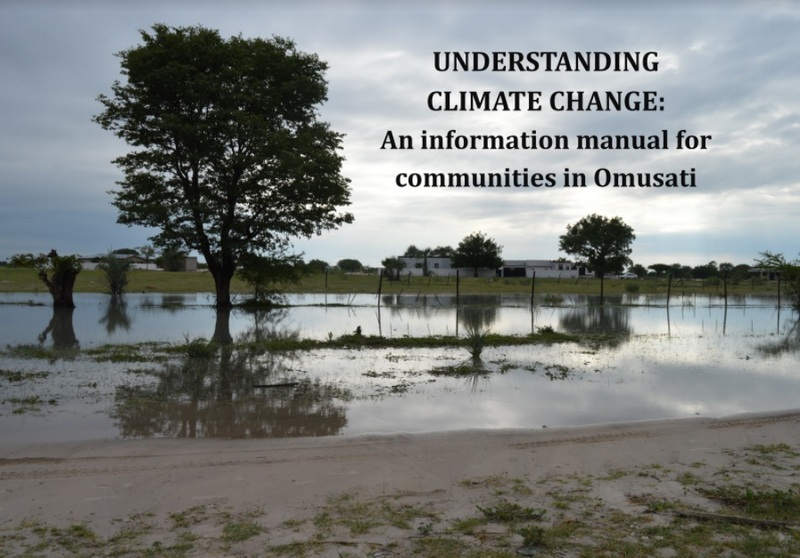 These two booklets, one in English and the other in Oshiwambo, look at the changing climate in Namibia, and at the measures being taken to adapt. They also provide short exercises that can be used with stakeholders to create spaces and interactions that generate energy and creativity, and to allow participants to explore climate change challenges experientially. What is climate change adaptation, and why is it necessary? Suggested adaptation measures (from the booklet) for Namibia are described below. See the full text (download from right-hand column [Oshiwambo] or further resources [EN]) for more information. Use information from seasonal climate forecasts and early warnings. Forecasts give information on how the weather might look daily, weekly, monthly or seasonally. Short-term forecasts can help farmers to make day-to-day decisions. Seasonal forecasts are even more useful as they can help farmers to decide which crop varieties they should plant that year, and when they should plan to start their planting and harvesting seasons. Early warnings are important as they help farmers to prepare ahead of time for droughts, floods or very strong winds. Diversify livestock. If possible, farmers should keep a variety of different livestock (e.g. mixed goat, sheep and cattle rearing) and invest in breeds of livestock that are less sensitive to changes in climate. Diversify crops. If a farmer only plants one type of crop and it does not grow well, then there will be a shortage of food, fodder and produce to sell. A variety of different crops should therefore be planted in case one type fails. This should include crop varieties that are resistant to drought. Store grain and fodder. When there is a good harvest, extra grain and fodder should be stored to prepare for possible poor harvests in the future. Establish farmer’s livelihood cooperatives and credit associations. Forming co-operatives among groups of men and women farmers, or among women only, can help in many ways. For example, by working together and pooling their resources, farmers can improve their access to markets, secure financial credit or loans and help to train one another in new farming techniques. Working together also means that the group will have a stronger voice than if everyone works on their own. Change planting and harvesting times. When the timing of seasonal rains changes, farmers should either start planting their seeds later, or start preparing their land earlier than usual to be ready for early rains. Use social networks for assistance. Strong support networks between neighbours, families, friends and community members are important in times of drought or flood when there is a need to share food, water and other resources. From page 6 of the booklet.